It was come one, come all to the greatest shindig in town. 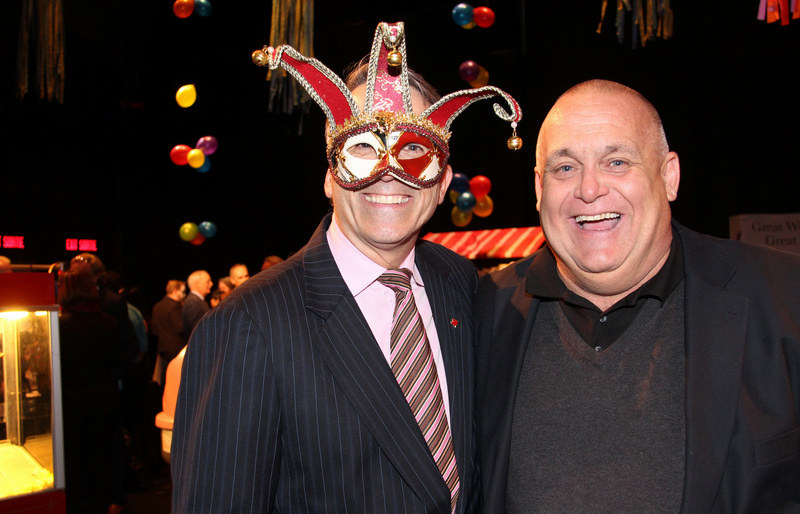 The AOE Arts Council hosted its carnival-themed signature soirée Thursday to raise funds and to celebrate the contributions that artists make toward creating a lively and vibrant Ottawa, where people want to live, work and visit. 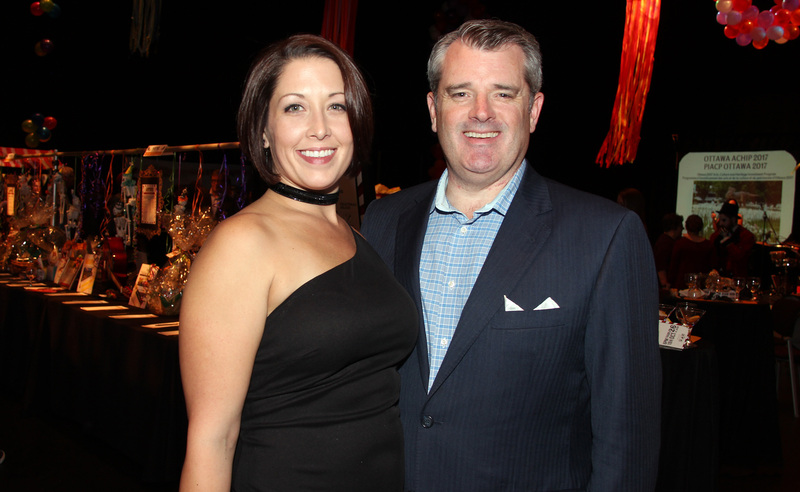 The annual Artinis benefit drew a sold-out crowd of 200 to the Shenkman Arts Centre in Orléans for music, entertainment, food, drinks and games, in the Richcraft Theatre, followed by a sit-down dinner on the main stage in Harold Shenkman Hall. The evening marked both the 10th anniversary of Artinis and the 30-year milestone for the AOE Arts Council, a non-profit arts group that represents more than 400 artists and arts organizations in this city. The party organizers’ attention to detail was outstanding. So much of the decor was made by volunteers, including the ghost-like body casts of circus trapeze artists that were carefully constructed from packing tape. They hung down from the rafters during the dinner prepared by Ottawa chefs David Fortune (Bar Laurel), Ryan Edwards (Salt Dining & Lounge) and Francis Periard (St. Martha’s Brasserie d’Orléans). Performers from Aerial Antics swung and twirled from above while cellist Joan Harrison and guitarist Roddy Ellias provided live music. The crowd was also entertained earlier in the evening by the Rachelle Behrens Combo. 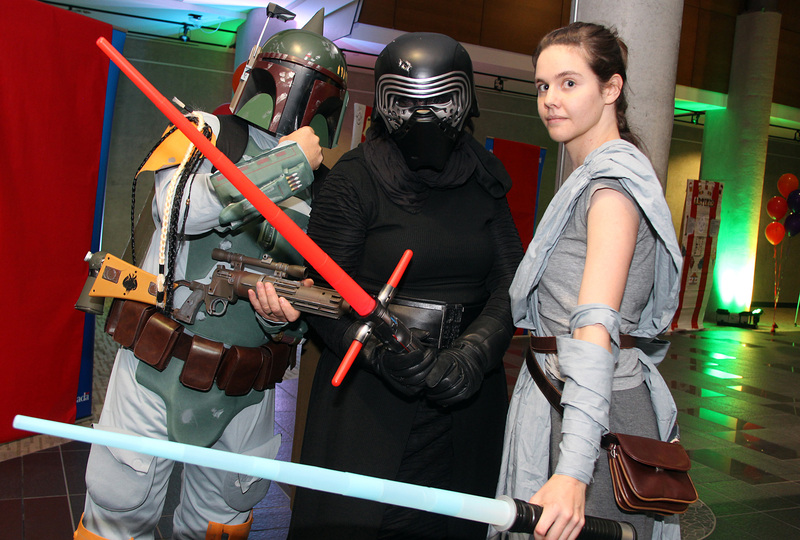 With Halloween practically knocking at our front door, guests had the option of wearing costumes. One creative couple put a Canada 150-spin on their garb by dressing as Confederate Zombies. AOE Arts Council executive director Victoria Steele was befittingly dressed as a snake charmer (her job is to beguile the governments into supporting the arts). Commanding everyone’s attention as ringmaster was board president Lisa Cruickshank, a State Farm Insurance agent and the 2016 Business Person of the Year for Orléans. Cruickshank, who has an undergraduate degree in music and sings with a women’s choir, sees the arts as a way of bringing people together, whether it’s in challenging times or during periods of celebration, such as Canada’s sesquicentennial. The AOE held hundreds of events, with the support of government funding, and also exposed people of all ages, backgrounds and corners of the city to the visual and performing arts, through its Neighbourhood Arts 150 initiative. “The team at the AOE is probably the most exceptional group of people I have ever worked with,” Cruickshank said on stage. "They are an exceptional group of people who take care of artists and who make our city better for the work they do"
Among some of the business folks spotted in the crowd were OakWood president and CEO John Liptak, Doug Feltmate, managing partner of St. Martha’s Hospitality Group, and Ottawa Business Journal publisher Michael Curran, who previously served on the board of the AOE Arts Council. The OBJ was a major sponsor of Artinis. Ottawa is competing on a global level to bring the best and brightest minds to our city, Curran said on stage. “The arts play an incredibly important role, especially with the Millennial generation who want a very complete and balanced lifestyle." 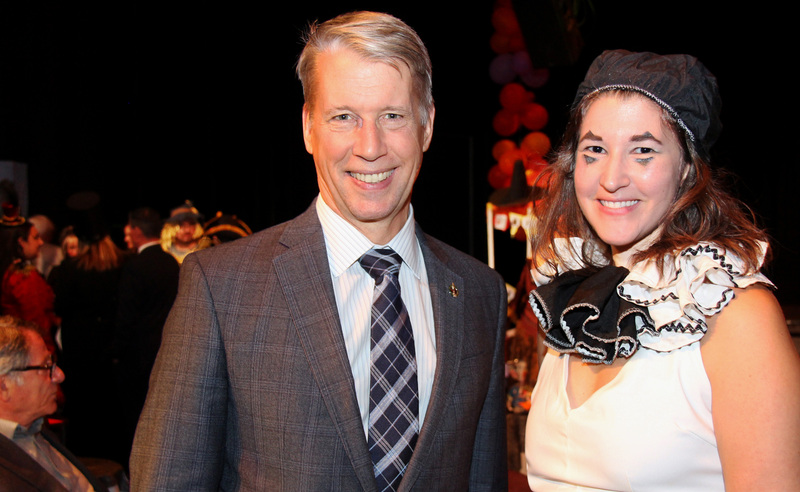 From the world of politics, Orléans Liberal MP Andrew Leslie was out to support the cause. So were Ottawa-Orléans Liberal MPP Marie-France Lalonde, Mayor Jim Watson, Deputy Mayor and Orléans Coun. Bob Monette, and Beacon Hill-Cyrville Coun. Tim Tierney, who, had he not been rushed for time, would no doubt have arrived in a stellar costume.